www.victoriaclaire-beyondvision.com, is a website and community where VIPs can find inspiration, support, and advocacy-related information. 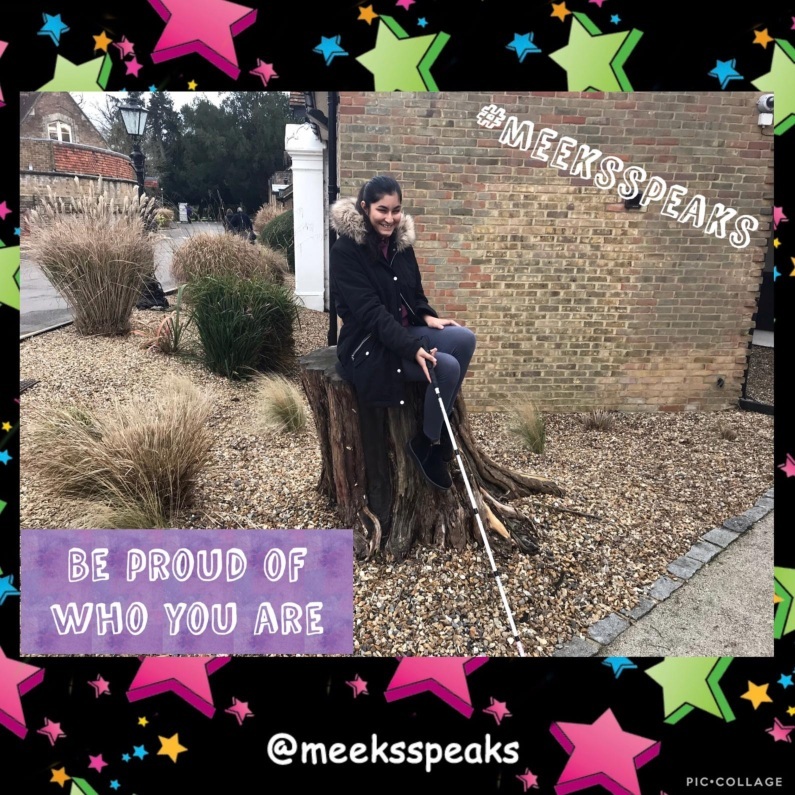 Victoria, who is losing her sight to Retinitis Pigmentosa (RP) has an extraordinary story about how she found personal freedom in acceptance. Today, as an Ambassador for Retina UK, she’s a beacon of hope to others as she shares her acceptance journey. A journey, shared through her artwork, writing, and speaking engagements. Losing eyesight can be a lonely and scary experience but it doesn’t have to be. If you or someone you know is going through sight loss I’d like to direct you to www.victoriaclaire-beyondvision.com. The image is a screen capture of Victoria’s website landing page. It includes her photo and the site’s logo. In Victoria’s photo, she is sitting and leaning forward, with her eyes downcast. Her straight blond hair parted in the middle frames her face. She is stunning in minimal makeup and is wearing a sleeveless black dress with a keyhole neckline. The logo is on a black background with white and purple text and wings on both sides of the text. 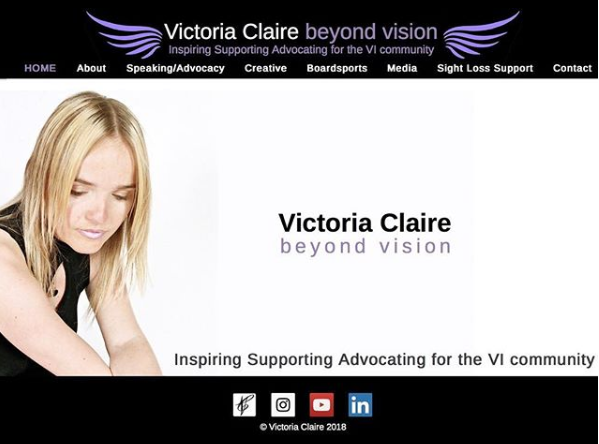 The copy reads “Victoria Claire beyond vision | Inspiring Supporting Advocating for the VI Community.” At the bottom of the image are social media icons.